The apocalyptics are at it again. 2012, they say, is the year we say so long, world. This according to vague prognostications by Nostradamus and twisted interpretations of the Maya Calendar. For writers, we can use it as a story line for a thriller novel or motivation to finally get that book published before it's too late. I prefer to take the long view and ignore the doomsayers, looking instead to the Chinese calendar which proclaims 2012 as the Year of the Dragon, the dragon being a symbol of good fortune and immense strength. 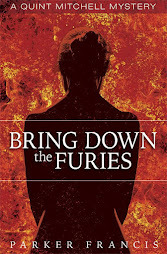 This portends great things for writers of fantasies, but all of us can do a little fire-breathing if we put our minds to it. With that in mind, here's how the six NE Florida FWA chapters kick off 2012. River City Writers meets on the second Tuesday of the month, January 10, at 7PM at the SE Branch Library. Contact Gregg Golson for more information. Readers and writers of thriller novels can get inside the author's heads when the Ponte Vedra Writers chapter presents, "How to Write the Thriller Novel." A panel of four area thriller authors provide tips on how to infuse the thriller with white knuckle suspense and plot-twisting roller-coaster rides that make this genre so popular to readers. Panelists include Chuck Barrett, author of The Savannah Project and the upcoming, The Toymaker; Drew Berquist, a senior intelligence consultant for the U. S. government, is the author of The Maverick Experiment; Kent Holloway writes paranormal thrillers, including, Primal Thirst and Siren's Song; and Ron Whittington set his thriller, Second Strike, here on the First Coast. Because of early primary voting, the meeting has been moved to Saturday, January 14 at 10:30 a.m. at the Ponte Vedra Library. The book sale continues this month with dozens of craft of writing/speaking books, as well as works of fiction. These will be sold for $1 each to benefit the local chapter. Amelia Island Writers meets on the third Tuesday of the month, January 17, at 6:15PM at Books Plus in Fernandina Beach. Maggie de Vries has the details. The third Wednesdays of the month are reserved for the Clay County Writers, meeting January 18 at 6:15PM at the Fleming Island Library. Writers need to prepare to promote their books by giving presentations to various groups, so the spoken word is just as important as the written word. Joy Lewis shares what she's learned from delivering over 200 presentations to demonstrate how writers can deliver a strong message that gets results. Maureen Jung has more information. Noted science-fiction author Joe Haldeman is the guest speaker at the Ancient City Writers meeting on Saturday, January 21, 10:15AM at St. Augustine's Main Library. Joe will discuss "Setting the Scene – Building Your Character's World," which is important in all kinds of fiction. His books have won multiple awards, including the coveted Hugo and Nebula Awards. First Coast Christian Writers, an affiliate of FWA, meets each Thursday evening at 6:45PM at the West Regional Library on S. Chafee Road. Email Tracy Redman for more information. Florida Sisters in Crime meets Saturday, January 7 at 10:30AM to hear from Lt. Bill Leeper, Public Affairs Officer for the Florida Highway Patrol. They meet at the SE. Regional Library. I'm a day late in getting this out, but those of you who had been attending meetings of SCBWI will be happy to know a new children's book writers group has been formed by Jane Wood and Frances Keiser. They will meet on the first Tuesday of each month at 6:30PM at the SE Regional Library. Contact Jane for more info or to be placed on the email list. Readers of Steve Berry's bestselling international thrillers can meet Steve and hear about his upcoming stand-alone thriller, The Columbus Affair, when he speaks at the Friends of the Ponte Vedra Library's Book Talk Cafe program, Tuesday, January 10 at 6:30 p.m. 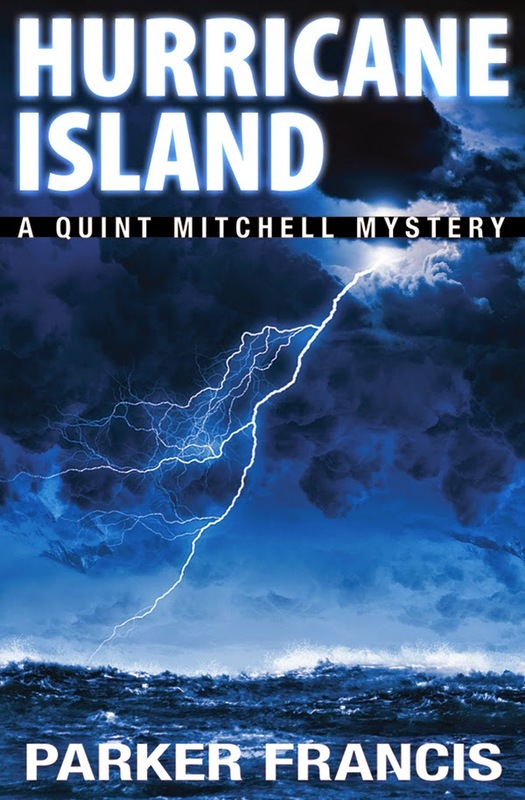 The Amelia Island Book Festival is coming February 17 and 18 with workshops, a gale at the Amelia Island Plantation featuring Steve Berry and David Morrell, a luncheon with Paula McClain, author of The Lotus Eaters, and much more. There's also a Festival Marketplace for independently published authors to sell their books. All the details can be found on the website. North Florida Writers meets Saturday, January 14 at 2PM at the Willowbranch Library in Riverside. The meeting will focus on critiques of up to 10 double-spaced pages of works in progress. In case you missed it, there was a good article on a successful self-published author in the Wall Street Journal recently. Read about how Darcie Chan's debut novel became an unexpected hit in the article, How I Became a Best-Selling Author. Frank Green's Bard Society continues to meet each Wednesday at 7PM at Frank's home. First Coast Romance Writers meets Saturday, January 14 at the West Regional Library for morning and afternoon workshops with authors Madeline Martin and Ava Milone. The F.R.E.S.H. Book Festival will be held Saturday, January 14 at the Hilton Daytona Beach Resort. Festival Director Donna M. Gray-Banks has details. Central Florida publisher of Pulse the Magazine, Richard Huss, announces the 2nd Flash Fiction Contest with cash prizes, and first prize of A Day in Mt. Dora, including a night at a local B&B. The 650-word submission should be based on a visual prompt of a painting by Lauren Graham Cunningham. Visit the magazine's website for guidelines and the artist's work, or contact Huss at Rdhuss@aol.com. Noted S. Florida Author John Dufresne will lead a workshop at Flagler College on February 11 on "Write Your Novel in Six Months." Contact Kim Bradley for more info. 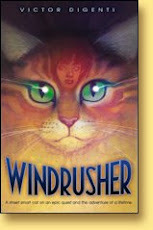 Cat lovers and readers of the Windrusher trilogy will have a chance to visit with the author at this weekend's Absolutely Abyssinian Cat Show at the Morocco Shrine Auditorium. 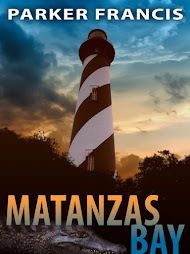 DiGenti will also autograph copies of his mystery, Matanzas Bay. Congratulations to Jacksonville author Kathryn Bain who announced the release of her inspirational romantic suspense novel, Breathless, available January 13 as an ebook from the Pelican Book Group. Information on her website about how to obtain a signed print book. Screenwriter Sharon Y. Cobb signs copies of her debut novel, False Confessions of a True Hollywood Screenwriter, Saturday, January 28 at the Barnes & Noble, St. Johns Town Center, at 2PM. Visit her at http://www.sharonycobb.com/. Parker Francis, author of the FWA Book of the Year mystery, Matanzas Bay, will be signing his book at the Barnes & Noble at the Oglethorpe Mall in Savannah on Saturday, January 28 from 2:00 to 4:30PM. That's more than enough to keep us busy as we breathe a little fire into our writing. Until next time, keep writing, and I'll see you at the library.